In this monthly column we spotlight new Blu-ray/DVD releases by interviewing directors about the scenes that stood out most for them while making their movies. This month we talk to legendary Oscar-winning cinematographer Haskell Wexler (Who’s Afraid of Virginia Woolf?, Bound for Glory) about his landmark 1969 directorial debut, Medium Cool (out on Blu-ray and DVD May 21, 2013). 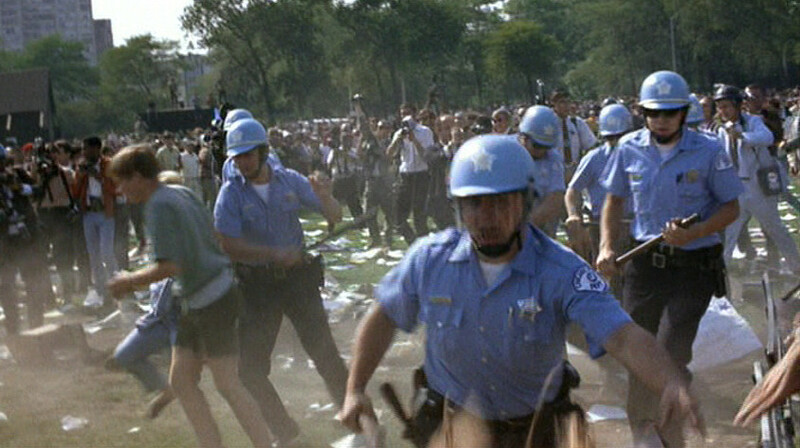 Starring Robert Forster as a Chicago TV cameraman, Wexler mixes a scripted story of the media’s perspective of a city on the verge of revolt with the actual anti-Vietnam War-fueled confrontation with police that ensues during the city’s hosting of the 1968 Democratic National Convention. Opening in very limited release in ’69 due to its X rating, the film became a cult hit through the reaction from critics and the word-of-mouth about its authenticity of young people’s feelings across the county, which wasn’t found in most news coverage. 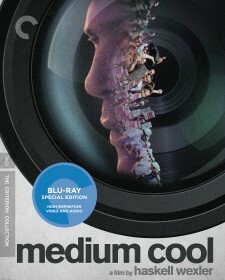 Now with its release through the Criterion Collection, Medium Cool is available to a new generation to discover. Here Wexler discusses two of the film’s most memorable scenes: the police riot scene, in which actress Verna Bloom’s character Eileen finds herself amongst the demonstrators while in search for her son whose gone missing; and the film’s jarring ending. Peter Bart, who was an executive at Paramount at the time, knew I wanted to direct films. He had a film called Concrete Wilderness which he thought would be a good film for me. It was a Disney-type kids film. I suggested to him that I would go to my city, Chicago, and look into planning that film. I did, but when I went back to Chicago I saw that the city had all kinds of things happening that I didn’t know since I left from living there. My friend [Pulitzer Prize-winning author] Studs Terkel introduced me to people in the Appalachian community who were mostly poor and somewhat immigrant and what I saw was the remnants of the civil rights movement still active in Chicago and the general feeling of a spate world going on—the hippie antiwar long-haired role and the establishment which said killing Vietnamese would protect America from a domino-effect disease of communism. So that was the origin for me writing a script for Medium Cool. I knew [social activist] Abbie Hoffman, I knew a lot of the people who were involved in the movement and I knew they were planning “theater” at the upcoming Democratic National Convention in Chicago. So we set up shooting so it would fall into the time of the Democratic National Convention taking place. I knew that if the Democratic Party did not respond in some way to the huge antiwar movement that there would be some kind of confrontation [at the convention]. And I knew that partly because I was able to see what the so-called security in Chicago had put in place, which we show in the scene where the National Guard dress up like hippies with fake long hair doing training of what they were going to expect at the convention. 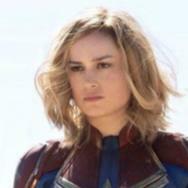 I was out amongst them [during the police riot] and my plan of shooting was just the basic fact that the Eileen character was in search of her son and knew that he used to go to a certain area of Chicago, so she goes to look for him and she finds herself in the middle of a riot in the park. There’s one shot where the police and National Guard blocked off the park. I told Verna to try to get out, thinking she would be sent back into the confined section of the park where all the antiwar demonstrators were. I shot her going over to the troops and for whatever reason, her yellow dress or that she was pretty, one of the National Guardsmen let her pass through. So I had had my lead actress outside and I couldn’t get outside, so that’s when I had to adjust my plan. But I was never concerned for our safety while shooting the riot stuff. I had been in Guatemala with guns going off, when I’m shooting I feel I’m safe as well as those with me. However, I was hit with tear gas. In the shot where you see me get hit with the tear gas [see the 6:55 point in video below] you hear faintly someone say, “Look out Haskell, it’s real!” I didn’t know until I saw an edit of the scene that that was even in there. But I was okay with it. 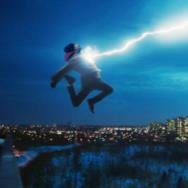 To have a film popular you have to have some action and that was some good action. And a few weeks earlier when I was shooting the National Guardsmen rehearsing they shot some talcum powder at me, so we’d come full circle now. It was called CM gas and the next two days we had to shut down production because I couldn’t shoot, I could barely breathe. The biggest sensation I remember was taking a breath in and then feeling like I wasn’t able to exhale and felt like I was choking. I always thought tear gas made your eyes run but it does a lot more. In the city of Chicago to see hundreds of armed troops there with heavy-duty war equipment when citizens—no matter how unwashed they were—are not armed in any way that they would be considered subject of war, that defined what the media and the government thought: that it’s okay to go halfway across the world and kill a bunch of people because they are less human than we are and they represent some ideology that they believed some day may cause us harm. 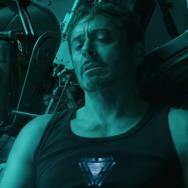 I liked that scene but it’s not necessarily the most satisfactory ending for audiences. I think the reason for that is when an ending happens like that people feel tricked. You’re drawn into something that was made to feel real and then when you show the bones of the doing—“breaking the proscenium” as Godard called it—they feel you’re making fun of them in a way. That you’ve played with their emotions. You told a story and now you’re saying that was just us with our camera and clever editing. People have mentioned that the ending is similar to Easy Rider. I hadn’t thought about that, but I like mine a lot better.